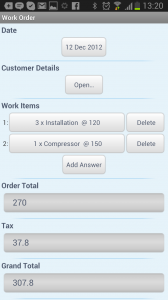 Quite a common requirement our customers have is to be able to bill a customer while onsite for work performed or goods supplied, with the output of the form being a nicely-formatted PDF with your company and payment details. In the past this has been quite difficult to do properly with Mobile Forms as one or two pieces of the puzzle were missing. In this quite lengthy blog post I'm going to walk you through the steps and moving parts to create such a solution from scratch. 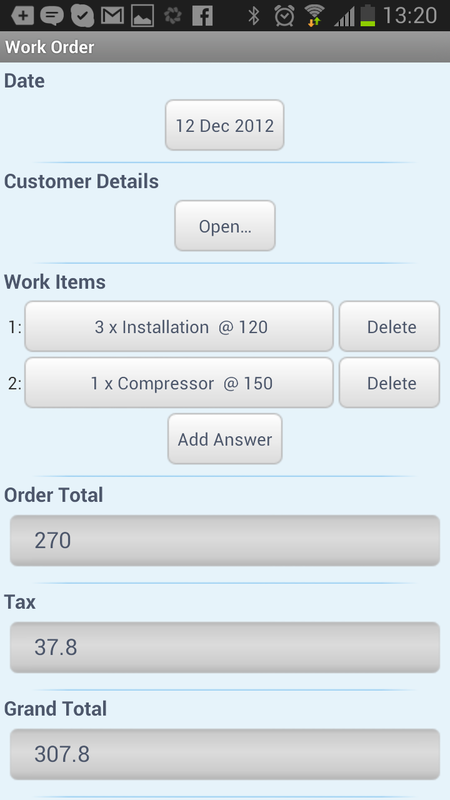 Click to see what the output invoice PDF will eventually look like - Work Order_1134052 (removed). 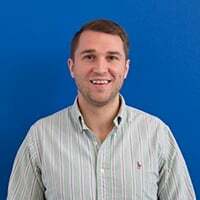 All you need to follow along is a free/paid account with us on www.devicemagic.com and an Android, iPhone/iPad or BlackBerry device. If you want to skip the form design, you can grab the JSON definition. Otherwise, let's go through creating the form step-by-step, paying extra attention to the calculations and repeat group fields. 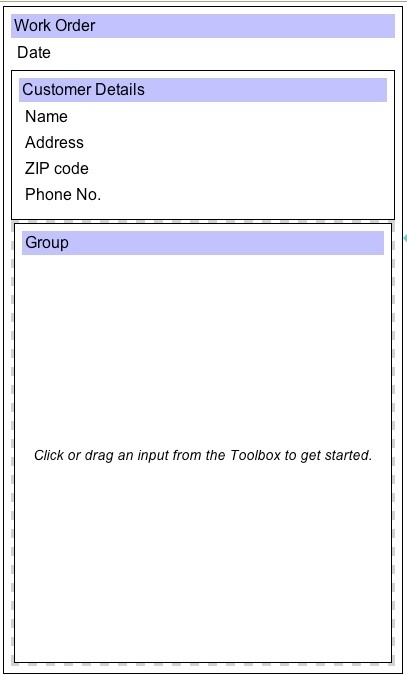 Click the New Form button to launch the designer with a blank form. If you downloaded the JSON definition above, use the Import button to load that now. Although you can access the date/time a form was submitted from our connectors, it probably makes sense to remind the device user that they are submitting this information and can optionally override the date from today's date. 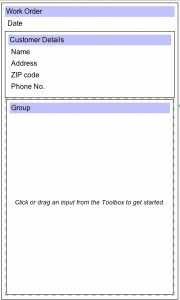 Drag a Date field from the toolbox and name it "Date". Your subform should look something like the above. If you've named your fields differently, use the Add Input button to select your quantity field, then type "*" to denote multiplication, then insert your unit price field. That's the repeat group done! To make things easier on your mobile users, you may want to replace the Description free text field with a select lookup. The CONCATENATE function allows you to join answers together, whether they be text fields, integers, decimals or even static text like the multiplication sign and other symbols I used above. Again, you could build these expressions or just type them in (but be sure to use the right field identifiers). SUM can either SUM decimal/integer values found within your form, or it can be applied to items repeating in a repeat group. Our forms engine will figure that out. Pay attention to the dot notation used to access the Line Total's value in the repeat group. It's always safer to use "Add Input" button to be sure you're getting the right field identifier. ROUND takes a decimal argument and optionally, a significant number of figures to round the value to after the decimal point. This just makes for nicer-looking values. Download the form definition here. You've got several options here. 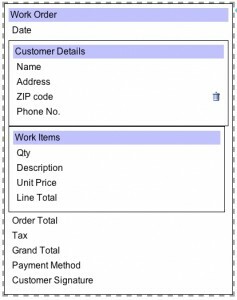 If you just supply your e-mail address, the connector will take each form's completed fields and insert them into a Word Document which be mailed to your account. You can also upload your own Word template and the connector will then merge values from the mobile device into your placeholders. To help with this, you can download a sample template which will explain the templating language as well as including examples using your particular form. In the interests of time and space, we've prepared a template based on the form we created which you can download here and upload into your connector. 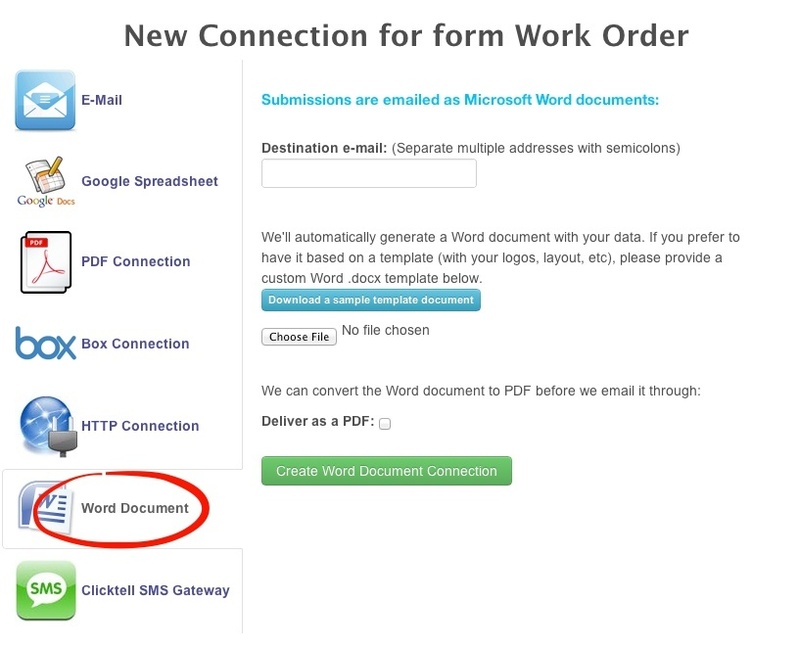 Once you've done this, be sure to check the "Deliver as PDF" checkbox which will automatically convert your completed Word doc to PDF prior to e-mailing. This output provides a much more professional, consistently laid out and difficult to edit result.